Li-Young Lee (pinyin: Lǐ Lìyáng) b. 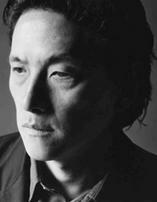 1957 is a United States Asian American poet, born in Jakarta, Indonesia to Chinese parents. Lee’s father, personal physician to Mao Zedong while in China moved his family to Indonesia and helped to found Gamaliel University. In 1959, after spending a year as a political prisoner in President Sukarno’s jails, Lee’s father fled Indonesia with his family to escape anti-Chinese sentiment. Between 1959 and 1964 the Lee family travelled through Hong Kong, Macau, and Japan before settling in the United States. Lee has attended the University of Pittsburgh, the University of Arizona, and the State University of New York at Brockport. He has also taught at Northwestern University and the University of Iowa. Lee has written several poetry collections including Book of My Nights (2001), The City in Which I Love You (1990, Lamont Poetry Selection of the Academy of American Poets for 1990), and Rose (1986, New York University’s 1986 Delmore Schwartz Memorial Poetry Award ). His memoir, The Winged Seed: A Remembrance (1995), received an American Book Award from the Before Columbus Foundation. Lee’s poems have also been published in three Pushcart Prize: Best of Small Presses anthologies. His honors include a Lannan Literary Award, a Whiting Writer’s Award, grants from the Illinois Arts Council, the Commonwealth of Pennsylvania, the Pennsylvania Council on the Arts, and the National Endowment for the Arts, and a Guggenheim Foundation fellowship. Lee currently resides in Chicago, Illinois. Do you have any comments, criticism, paraphrasis or analysis of this poem that you feel would assist other visitors in understanding the meaning or the theme of this poem by Li-Young Lee better? If accepted, your analysis will be added to this page of American Poems. Together we can build a wealth of information, but it will take some discipline and determination.